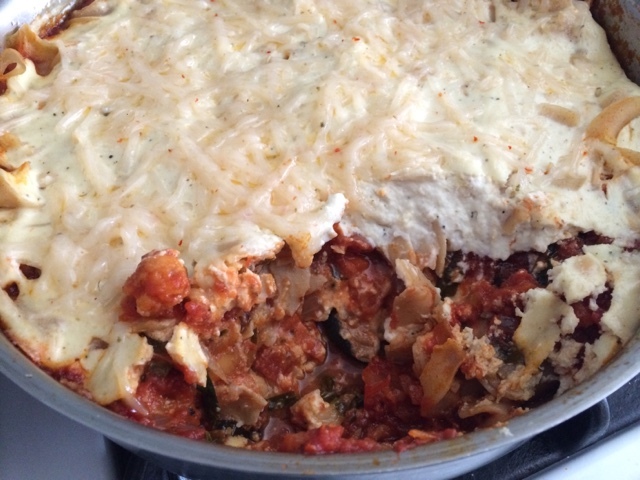 The Vegan Mouse: One pot lasagna. 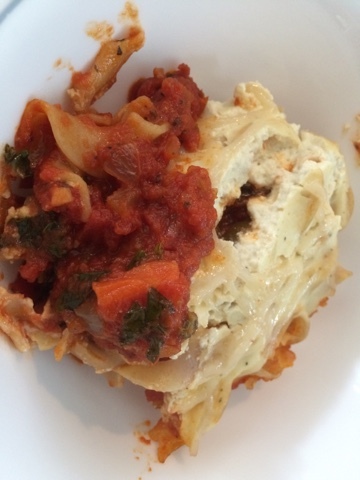 I adapted the Happy Pear's one pot lasagna and it turned out really good! I used wide noodles instead of lasagna sheets and used mixed frozen veggies and kale. A cashew sauce is in between layers and its topped with a sprinkle of Daiya cheese. In their recipe, you cook it all on the stove. I did the sauce in the same pan, then ladled half of it out then did the layering of red sauce, noodles, cashew sauce, red sauce, noodles, cashew sauce and then Daiya. Instead of leaving it in the stovetop to cook further, I stuck it in the oven with a cover for half an hour so the cheese would melt. I just watched that video the other day!! Your version looks great! Thanks you should try it! 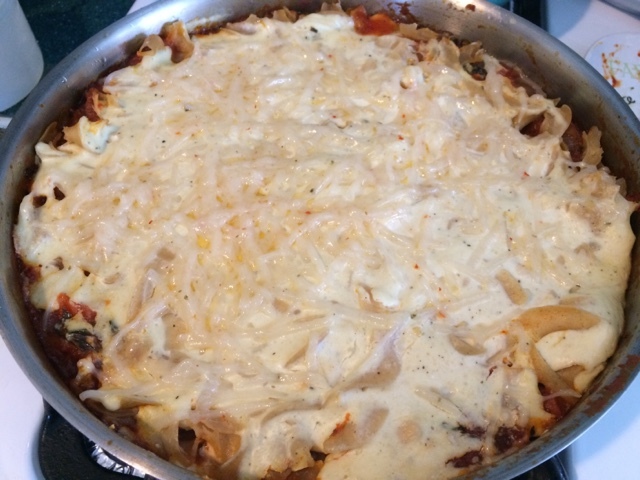 It's convenient not having to wash a pan and a lasagna tray!